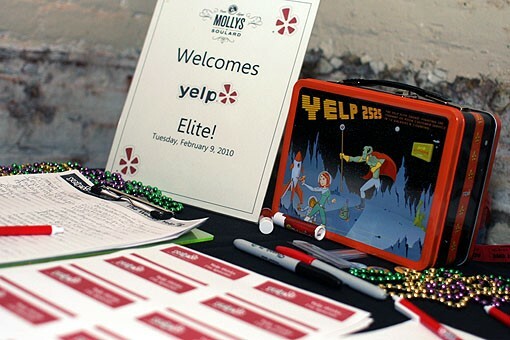 This week at Molly's in Soulard, some local "elite" users of Yelp -- the mega consumer review website that ranks restaurants, bars, clubs and myriad other establishments -- got together to talk food and, of course, drink. 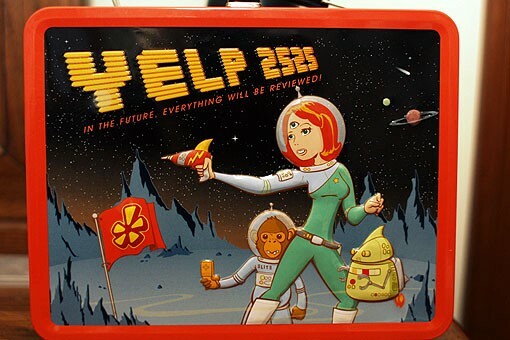 Photographer Crystal Rolfe brings back these photos from the event, where some of the most-frequent users of the site gathered (ostensibly) to talk about their reviews face-to-face and nab a lunchbox. 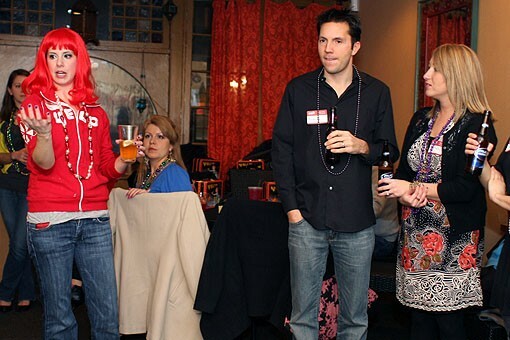 "I'd heard so much about Yelp's gatherings, I finally decided to check one out for myself. Everything I'd heard was true -- and then some! The registration table was top-notch. I know some people thing Sharpie markers are played out, but I think they add a nice touch. I mean, how else are you going to make your name bold enough for strangers to read from across the room. And the Mardi Gras beads? So. Cute." - Jessie K.
Organizer Abby welcoming the crew. "I was shocked to find the so-called Elite of Yelp drinking such a proletarian 'beer' as Bud Light. 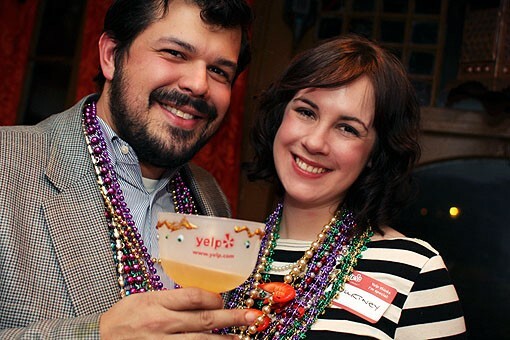 I suppose if I want to be an Elite Yelper, I have to stop drinking craft beers. Maybe that's why I wasn't invited to this gathering? I just happened to be at Molly's for dinner. Four stars for the restaurant, but one star for the party -- and only because of that chick with the red hair." - Arnold P.
Molly's in Soulard's fried mushrooms. "OMG. So everyone received these awesome goblets with our names on them. Totally for free. Totally just for showing up. Guess what? They spelled my name wrong. I'm Anjelique, not Angelique. I tried not to let it ruin my night, but every time I lifted the goblet to my lips, that g was staring back at me. 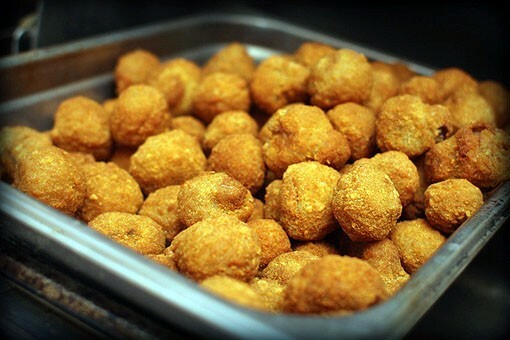 I will give them credit: They offered me all the fried mushrooms -- my favorite! -- I could eat." -- Anjelique Q. 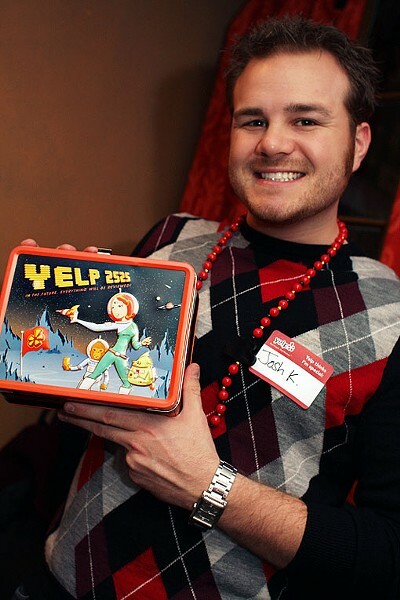 "The snacks were tasty, the lunchboxes are super fun, and my inner Martha Stewart loved that there were arts & crafts. 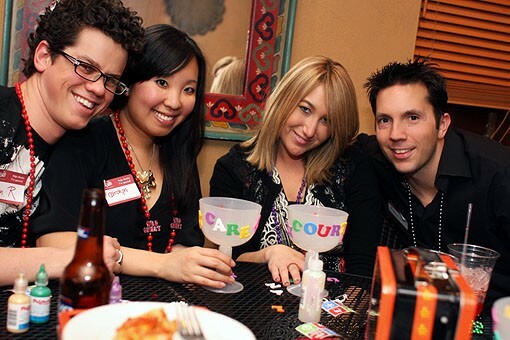 I definitely enjoyed meeting my fellow St. Louis Yelpers while sipping hurricanes out of bedazzled pimp cups." - Jenny A. "Cool lunchbox. Nicely made. Fits a hefty-sized piece of free mostaccioli. 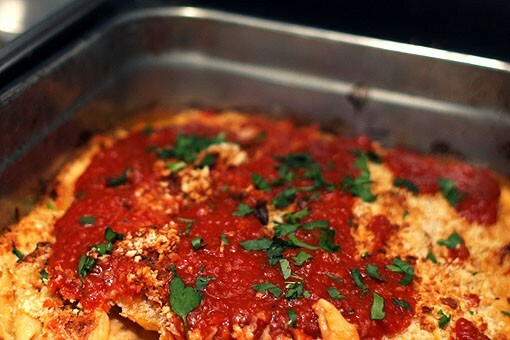 I mean, it looks like it would fit a big piece of mostaccioli inside it." - Ellis C.
"I've never written a five-star review on Yelp before. I wanted this one to be my first. Everything was perfect: the people, the food, the drinks, the swag. But then, as I was getting ready to go home, some b---- walked off with my complimentary goblet! I complained to Abby, the organizer, and while she was very sympathetic, she said they didn't have any spare goblets. Other than that, what a great night. Four stars for sure." 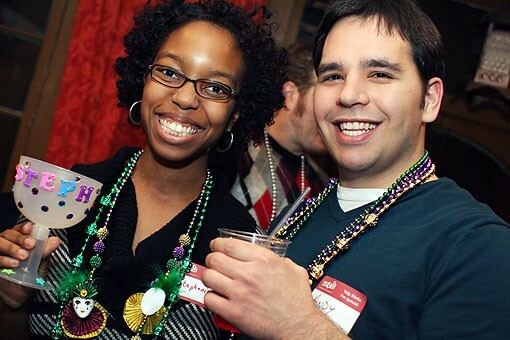 - Angelique P.
Readers: Can you spot the one true Yelp review of the Yelp event?